This Quick Reference Guide is a small step to putting best practices in place for your church, or house of faith. It is very common for someone being abused to turn to their faith community for help. They often seek a place to understand, for comfort or spiritual guidance. 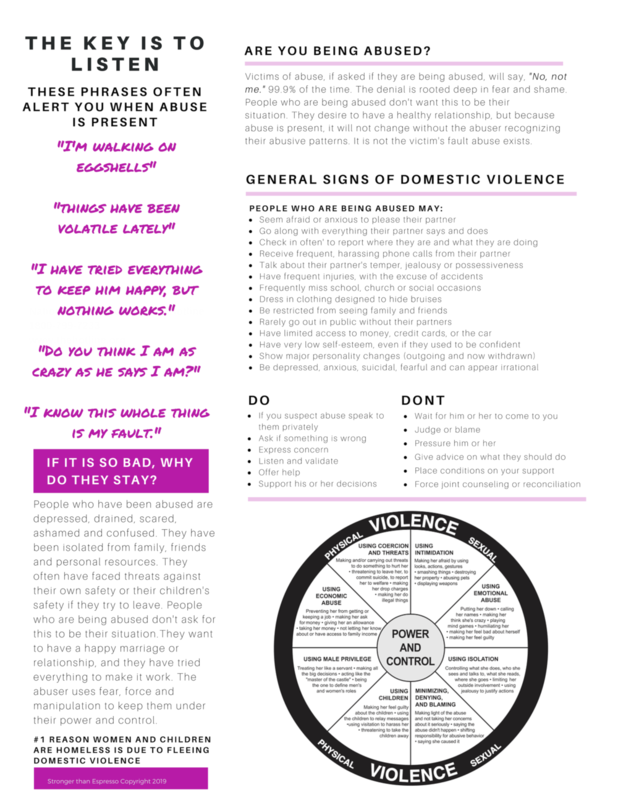 Most people who are abused may not realized they are facing abuse that is verbal, mental, spiritual, social or financial.